Dropbox is a cloud storage and sync service available for Mac, Windows, and mobile devices. 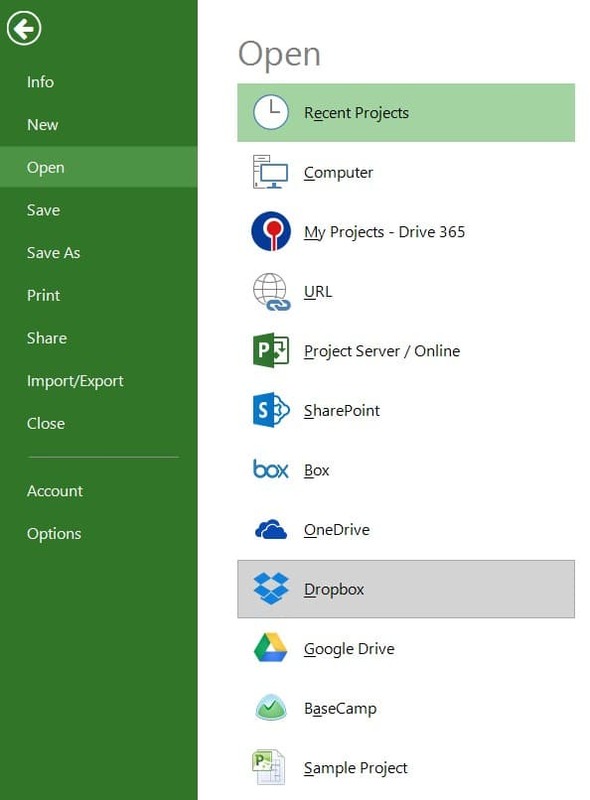 How do I open a project from Dropbox? 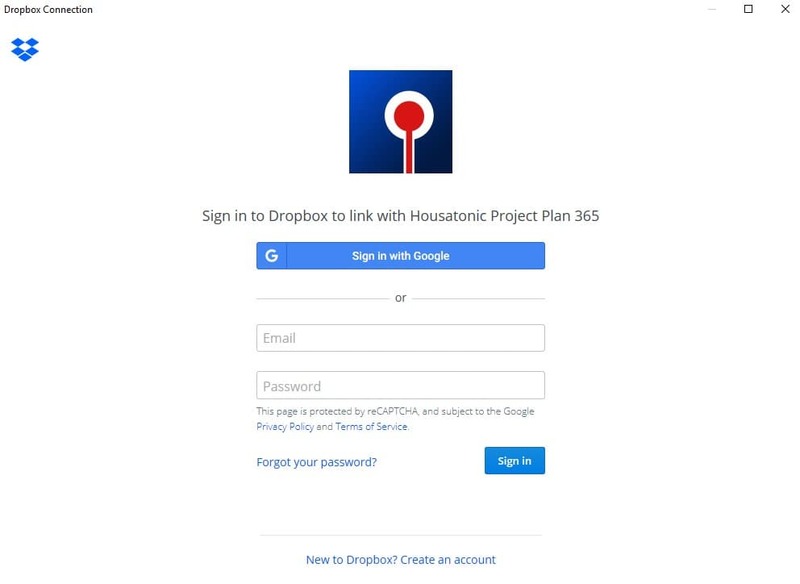 To access a project plan from Dropbox, click File - Open - Dropbox. Login if you are not authenticated yet, select the project and click Open. 1. Click File - Open. 2. Click Dropbox. Connect with your account. 3. 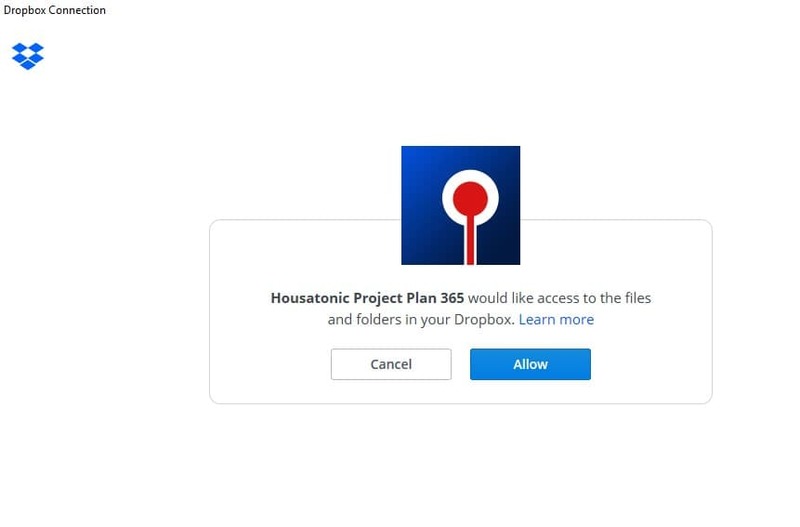 Allow access to Project Plan 365 application to access your files. 4. Select the project and click Open.